For the entire Truck Project series of articles, I’ve tried to stress the concept of carrying one setup from track to track and making adjustments to suit the track instead of trying to reinvent the wheel each week. While sim-racers have historically spent hours and hours building a setup each week for a new track only to toss it aside for the next week, it doesn’t mean that’s how things have to be. We split the Truck Project into two mini-branches: Short Track, and Speedway. The Short Track setup dominated this series and rightly so, since it was the most problematic of the two setups from the get-go. Simply adjustments each week took it from a chassis that was largely uncompetitive in week 1 to a chassis that was actually fighting for spots by its fourth time on track. We never built something new and we always pulled from previous weeks to figure out what to change and how to go about correcting the bounce problem that plagued that setup for three weeks. Admittedly, we did stumble across the answer at Milwaukee when Alex made a change on a whim, but that’s part of the process! Sometimes you’ll find the answer accidentally, sometimes it just takes time. Michigan was the second time we’ve pulled the Intermediate setup out this season following the race at California. Coincidentally, California and Michigan are incredibly similar, so instead of updating the setup with wholesale changes I wanted to make minimal changes just to suit the track and see how far off the truck was in the race. In the end, all I changed was the left-front spring, some weight distribution, and sent it on the way. 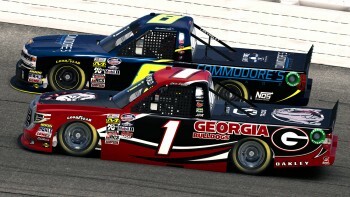 I was the lone ranger at Michigan, but I still learned quite a bit with just one truck on track! These two tracks are the same shape, have similar grip levels, but the major difference in the two is the amount of banking at either track. California only has 14° of banking while Michigan has an extra 4° of banking at each end, which adds quite a bit of vertical load to the car at Michigan. At California I ran a lower-rate coil-bind spring on the left-front to keep the splitter down, but I had to run a little bit higher ride heights to compensate for the extra vertical travel. This meant a higher-rate spring was needed to take up the extra travel, and this was basically the only major change that was made. There was also a change in rear spring rate to resist the vertical movement as well, but that was a relatively simple change compared to the front end. By making only simple changes to keep the setup the same, it’s a good way to gauge the weaknesses for the setup against competition, which we’ll look at later. The race was, by far, the most competitive race we’ve put a truck in this season. In terms of SOF, it was similar to Iowa but the names in the race were some of the big guns. Where Iowa tested the Short Track setup against some of the best, Michigan would test the Intermediate setup against some of the best. It’s probably worth noting ahead of time that my truck was about 7 tenths off of the fastest lap of the race, so there’s definitely some short-run speed to be had with it. Long run pace, however, was exceptionally good. I started 20th and finished 11th with only one 3-lap caution in the entire 45-lap race. These long runs really bring out weaknesses in cars that seem good during practice, and this race produced an interesting behavior with this particular setup. At California on the longer runs we had, the chassis shifted towards understeer as the run progressed. At Michigan, despite having very a very similar setup configuration, produced almost no handling shift as the run progressed. This includes a near-30°F difference in air temperature between the two races. This is significant because it shows the handling issue at California can be mostly attributed to the track temperature itself instead of the chassis producing a handling change. If the chassis was the problem it should have trended towards understeer at both tracks, regardless of the temperature. True, the California setup would be tighter anyway due to the lower track temperature, but the truck showed zero signs of a tight condition at Michigan. If anything, it was trending towards loose at the end of the first run which is typical for a hotter track. The most significant problem with the chassis is a lack of short-run speed. At California I was able to hang with Chad Coleman later in the race, getting in position a few times to set up a pass on him. At Michigan, however, Coleman blew right by without even waving to say hello and I never saw him again. I was in the same car, driving against the same driver, but a dramatically different result at a different track. At this point, I’m sure there are some who are thinking, “Well of course you weren’t able to race against Chad, you didn’t update the setup!” but this actually gives a pretty solid direction on where we would take the setup in the future. We know the handling is good because it didn’t change much and we know the long-run performance is quite good because I was making passes through the entire race. Races like this can often leave you complacent with the idea that your setup is good, but details like having Chad pass me without any ability to challenge show that the setup could have been a fluke at California. Chad made most of his ground up in the corners, but not the straights, meaning my car is likely too slippery while lacking cornering speed. 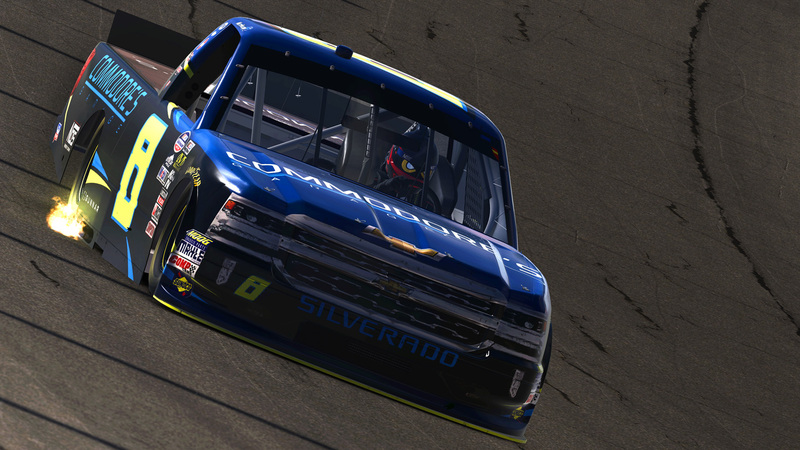 Had Chad never been around me during the race, I likely would look to get some more straight-line speed in the truck while sacrificing a bit of corner speed. After all, I was having no trouble racing the guys I was around for most of the race, but these weren’t guys who were challenging for the win. Chad had the #1 truck, marched all the way up to 7th just behind Tyler Hudson, all while leaving me in the dust. I remember Chad from the Pro/WC series, and Tyler’s a former DWC Champion, so seeing how Chad’s truck behaved around mine is extremely significant. Without seeing that I need to look at corner speed instead of straight-line speed, I would have likely widened the gap to the leaders by adjusting for the wrong thing. If that pass hadn’t happened during the race, I would have been struggling to put together an article because I wouldn’t be able to make the point I want to make. Too often, people look at their own car and say “it’s not doing this” or “it’s not doing that” and adjust for something they’re unhappy with and wind up making up zero ground to the front-runners or (in worst case) lose ground to the front-runners. It’s extremely important to be able to diagnose your own car and adjust to what you need from the car, but it’s equally as important to pay attention to what the front-runners are doing in relation to your car. Do they have higher speed in the center of the corner like Chad did? Do they have a lower corner speed but have a higher straight-line speed? Are they simply backing the corner up while you’re sending the car off into the corner like your hair’s on fire? It’s impossible to make progress if you don’t have a goal. For our Short Track setup, our goal was to get rid of the bounce and load the left-front tire. We did that and picked up a ton of ground on the competition. For the Intermediate setup, the California car performed so well that there was literally nothing that said “This needs to be better”. Instead of trying to fix what wasn’t broken, I left it alone and ran it again. Because of that, I managed to see what was wrong with a setup that looked quite good at first glance and that produced the goal to work towards. This is one of the situations where the handling is great but the pace is off, which is extremely hard to diagnose and work into the plan of changes in the future without some kind of comparison to a better car. 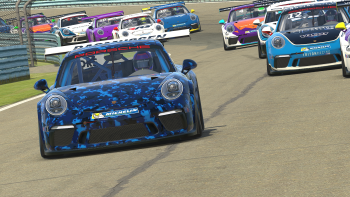 In a little over a month you’ve followed along as I, with the help of my teammates, have gone from nothing, in a car we really knew nothing about, to two setups with few major issues and show a lot of speed and are fairly competitive. 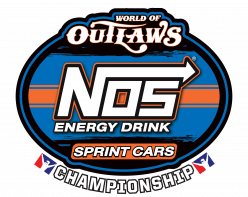 Admittedly, we didn’t actually start from “nothing” because we have a lot of past knowledge of coil-bind setups with the Xfinity cars (and, technically, the 2016 Cup car as well) but the similarities stop after saying the two cars were on coil-bind setups. Without over-complicating things by rebuilding setups constantly, we simply took issues that showed up in the past and made changes to cure one problem at a time. It wasn’t a huge time-sink either, with about 90 minutes each week spent on the setup. Going in with a goal and ideas of how what to do give the practice time a purpose and direction, preventing any waste of time. I hope that this mini-series of articles was able to convey what I’ve wanted to show for so long: We’re not working with just a bunch of numbers that change a handling factor on the cars, we’re working with a simulated system. Our short track setup had a problem that was literally caused by two components fighting each other dynamically, something previously only ever seen on real-world cars. 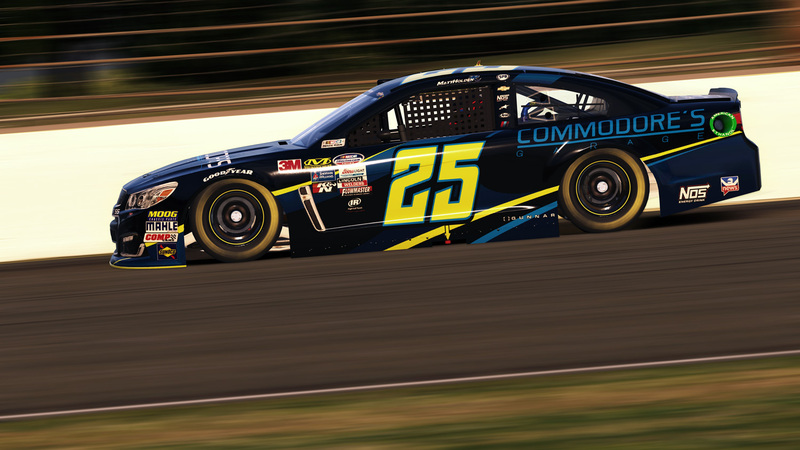 Unfortunately we only scratched the surface of this fascinating topic, but with the upcoming season in the NASCAR iRacing Series looking to be a bigger challenge than last year, I’m sure we won’t be short on things to talk about. I’ve enjoyed this little off-season project and enjoyed racing against those of you who said “Hello!” during the races. I want to end by saying thank you to every one of you who reads these articles and offered your kind words during this series, you guys really made this enjoyable. For now, we’ll roll our trucks back into the garage and trade coil-binding for bump springs. I hope to see you all on track this year, and as always: Best of luck, keep the shiny side up. I hope to see you on track this year! !